When we have a litter of pups our picking order goes by the order to which you see your name on the list. If you are #1 then you are first to pick and so on. Families are asked to watch our site for a new litter and e-mail us to give us a heads up on whether they will be ready for one of these pups. This ensures us that each family on our waiting list is serious about owning one of our pups. To us these are family members and every family we pick needs to be involed in watching our site. WHY WE TAKE SO MANY FAMILIES ONTO OUR WAIT LIST. Our waiting lists *appears* to be full. However some families on our waiting list are there waiting on their perfect pup. We never rush a family to take one of our pups just because one is available for them. Most of our families want a certain color, fur thickness, eye color, size and energy level. This often allows a family who just entered our waiting list in spot 10 to get a pup from a litter of 4 pups just born. So a family who is sitting at number 18 on our waiting list is probably going to be 7-9th to pick a pup. Never go by what you see on our waiting list. We give families 2 years to pick a pup from the time their application is accepted. We will give more time if a agreement is made between us and the family and before a deposit is accepted. Applications are ONLY accepted if the link to the right is up. Our family always has first pick and we have the right to deny a pup to a family if we sense any issues. 2019 MINIATURE SCHNOODLE WAITING LIST. Accepting 2 more approved applications.....ending soon! Prices on our miniatures range from $1200 - $1400. 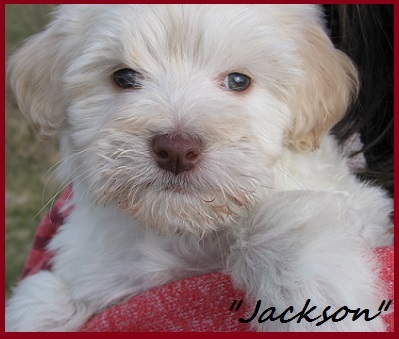 We have 4 families on our miniature list right now that may not be ready for their pup for another 3 years. A prior agreement to this was made between us and these 4 families. 2019 STANDARD SCHNOODLE WAITING LIST. Not accepting schnoodle requests at this time. Our standards range in height from 19 - 24" & 30 - 45 lbs. Prices on our standards range from $1300 - $1400﻿. I have been asked by the families below to allow a bit more time for them to pick a pup. Thank you for letting me know that life threw you a curve ball! This wait list gives families below 3 years from the time their application was accepted to go back onto our waiting list. Families on this list must let us know when they are ready for an up coming pup. Once these families below are ready they will be placed back on our wait list. These families below will be placed at the bottom so they do not disrupt those families who have been waiting and are ready.